With A Bold, Metropolitan Style, This Collection Exudes Glamour And Sophistication. Blown Crackled Glass Spheres Are Highlighted By A Soft Light That Passes Through The Translucent Silver Shades. While An Antique Silver Finished Frame Enhances Its Graceful Allure. This Collection Offers A Multitude Of Clear Glass Balls Accenting The Antique Darkwood Finished Branches. This Series Has The Appearance Of Branches Covered With Frozen Water Droplets. The Droplets Seemingly Grow Through Its Cream Fabric Shade And Translucent Diffuser. 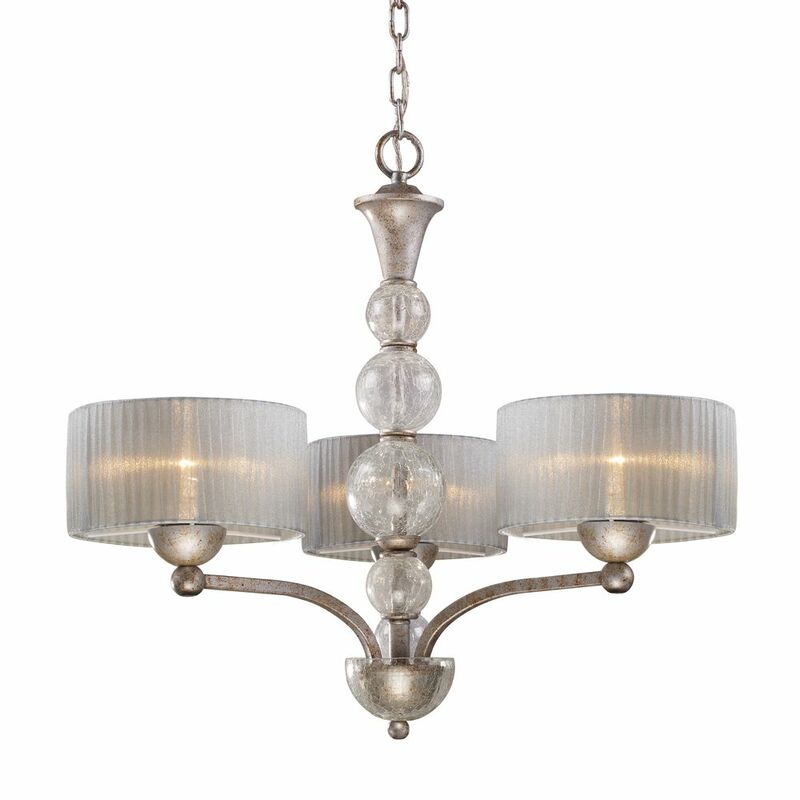 3-Light Ceiling Mount Antique Silver Chandelier With A Bold, Metropolitan Style, This Collection Exudes Glamour And Sophistication. Blown Crackled Glass Spheres Are Highlighted By A Soft Light That Passes Through The Translucent Silver Shades. While An Antique Silver Finished Frame Enhances Its Graceful Allure.